Good news for citizens waiting to enroll children for Aadhaar card. 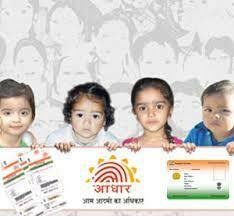 Special enrollment programme for Aadhaar for children below 18 years of age. Aadhaar card is a life long unique identity. Enrollment for Aadhaar is free of cost and is a common mans right. Obtaining Aadhaar is not mandatory for citizens. Children not studying in schools can also enroll. Special Enrollment Programme of Aadhaar card for children on Government and Private Schools and Anganwadi centers available. If not enrolled for Aadhaar yet you can enroll for Aadhaar at above nearest location. ID issued by Gazetted Officer on letter head. Increase in enrolment of the children and all young blood is vital and central. It is introduction to the new ways of life. The superior papers review are providing and ensuring goodness and kindness for the students and all individuals. Great news! This is so good that special enrollment program for Aadhaar for children below 18 years of age began and Aadhaar card is a life long unique identity. Get the facts like this is very pleasant and nice. I hope that all that children will get the help they needed and their future will be secure.